Oporto is one of my favorite Portuguese cities, not only for its authenticity but also for the memories it brings back to me. My older brother studied in Oporto, so I have a few friends from those times. Also in my college days, it was customary to visit the Madeiran friends distributed by the Portuguese Universities. Coimbra and Porto were a reference, especially at the time of “Queima das Fitas” Festival. The last times I went there, Oporto proved to be a city full of creativity and ability to reinvent itself. 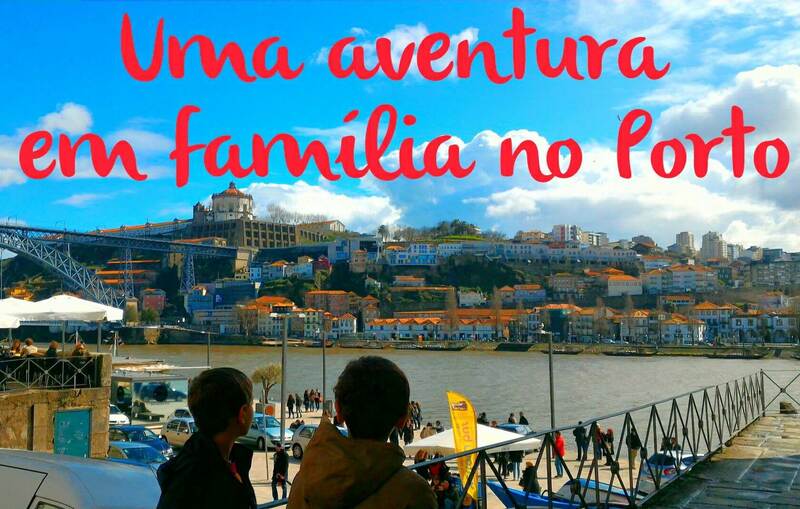 Walk along the street of Flores, the area of ​ Clérigos tower, in Miguel Bombarda Street without forgetting of course, the colourful houses of Ribeira, the crossing of the river Douro in Dom Luis Bridge and the walk by the river to the sea. Despite its serious look, this city is not at all dull, on the contrary, it is full of life and adventures to be discovered. – The more I travel the more I realize that there are three fundamental requirements for the success of a family holiday: Hotel, Food and Entertainment. Children under 12 years accommodated in the room of parents do not pay accommodation or meals. Advantages: It has an indoor heated swimming pool (which for children is always a good extra), breakfast offers crepes nutella and calling taxis from the reception is very practical (there’s an app). Disadvantages: Check out at 12pm, beyond that time it’s paid. However, it is possible to keep your bags at the reception. The pizzas are made in thin dow, great and huge! The spaghetti bolognese was also a success. As it was located near the hotel, we thought it would be a good option to try the typical ‘Francezinha’, but the queues at the door stopped us from trying to get a table, so we just gave up. A promise to a visit in the future was made. This place is charming, people are friendly and it has a relaxed atmosphere with a garden to rest and eat well. Affordable prices. Love! I have been several times by the hand of 2 friends, who introduced me to this delicious vegetarian food. Highly recommended! On Saturday and Sunday at 15h30 they exhibit the session “Vítor the Discovery of the Solar System” (suitable for children) and at 16h30 “Life, a Cosmic History” suitable for young people and adults. Both sessions will last approximately 50 minutes. We have seen both and recommend it. To attend the sessions it is only necessary to arrive 10 to 15 minutes before the start of the session. The world of discoveries shows us how the Portuguese discovered the world. Since the vessels to the first maps, the products for sale and exchange, the storms, the weapons, life on the high seas, the passage of Cape Bojador and the discovery of new worlds. We also saw a temporary exhibition on the conquest of Ceuta and its connection to Portugal, very interesting. We floated on a boat, on our way to Africa, India, Timor, China, Macau, Japan and Brazil, understanding why the endless sea is Portuguese. There is also a shop full of gifts from all over the world, and you can buy a souvenir photo. Note: The online tickets are cheaper. The first Sea Life center was born in 1979 in Scotland. 40 years later, the sea life opened in Porto with the first underwater tunnel in the country. During the visit we observed several species of marine animals including fish-cow, hogfish clown, the barbel, the turtle named Marisa, the shark-black tips, seahorses, sharks, the rays nose-of-cow, sea urchins and starfish. Throughout the day there are also several lectures on rays and sharks where children and adults can ask questions and clarify curiosities. Throughout the visit, children can answer a questionnaire both educational and interactive. Right next to the Sea Life is the City Park. Love it; wild, green, relaxing. An invitation to contemplation and photography. It serves well for a picnic, for jogging, to see the ducklings swimming or just walking. Do not miss it, it’s free! The zoo of St. Inácio is located about a 15-minute drive from the center of Porto. This Zoo was born by the hands of a passionate family belonging to the Aveleda group. It started as a private property but in 2000 it opened its doors to the community. In 2004, they joined the Thoiry Group, strengthening the movement for Nature Conservation. In addition to offering the opportunity to see an extensive range of animal species, including meerkats, prairie dogs, European lynxes, lions, llamas, giraffes, pygmy hippos, zebras, lemurs, macaws, flamingos, iguanas and pythons, this zoo exhibits teaching materials. Throughout the day lectures are held, explaining the natural behavior of some animals. It’s also a way to raise awareness about how human action may be contributing to the extinction of some species, the change in their well-being and natural balance. (This tour requires a free extra day, so I ended up doing it with a friend, months ago. However, I think it fits well on a family vacation, so I decided to include the suggestions). The Douro Valley is one of the most beautiful areas of Portugal, World Heritage. Its terraces with planted vines, the river snaking up the valley and the colors of the leaves turning towards sunlight are a balm for the senses. We proved cheeses, olive oil and a rich variety of wines in two farms. We also had a homemade lunch. The journey begins by 8 am with pick-up from the Hotel and ends at 8 pm. It also includes an unforgettable ride on a Rabelo boat on the Douro, a visit to Pinhao train station (which is beautiful) and the area of Régua. Here is the map with all the addresses and directions. Some of the pictures are courtesy of Budgettraveler. 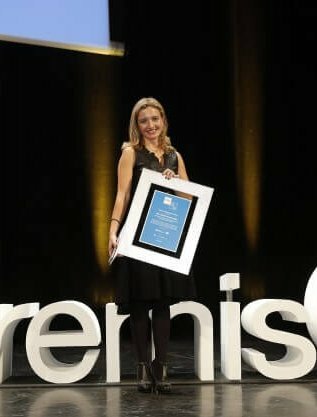 Sigo o blog devotamente desde o início e gosto imenso da maneira genuína de escrever onde vou sempre descobrindo ou relembrando pormenores lindos da nossa ilha e ideias óptimas para actividades e percursos de fácil concretização. As viagens são sempre inspiradoras e mais de uma vez foram o factor de decisão na escolha do destino para pequenas escapadelas. Previous PostHow would you describe the perfect day in Funchal?